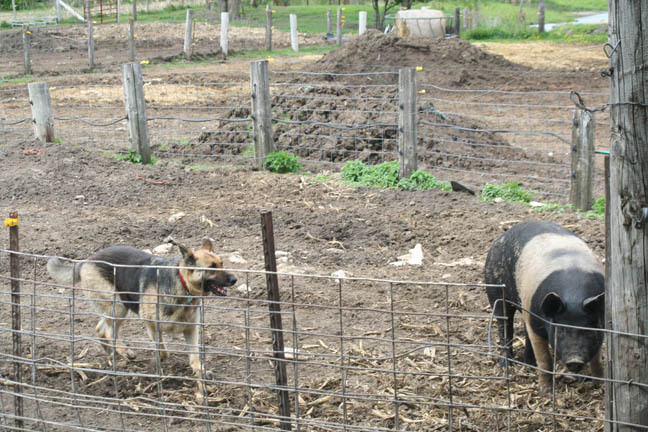 Ava lives to herd pigs. Sometimes she’s more helpful than others, but she tries and she’s getting better. It would help if we actually knew how to train her. 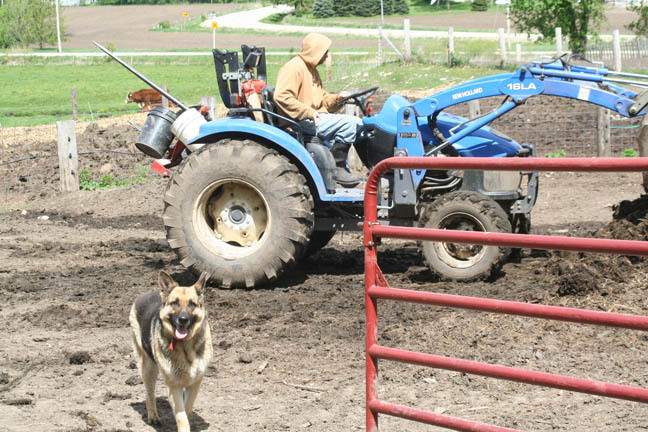 Matt likes to have her guard the gate so he can go in and out with the tractor, moving manure to the compost pile. 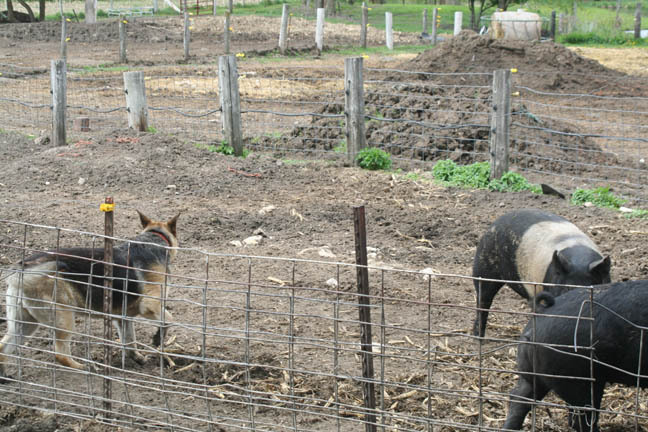 She keeps the pigs corralled up in the shed. 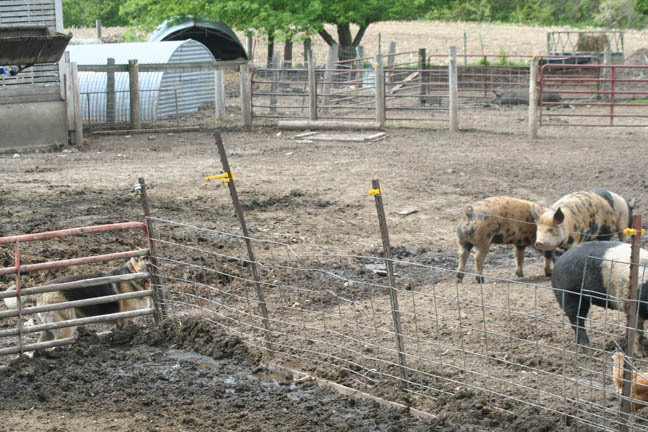 After a while the pigs just give up and lay in the shed. And then Ava gets bored, and pretty soon she’s nowhere to be found. Obviously she – and her trainers – need some training yet!